Here is a quick look back at some of the stories we covered last year and how things turned out for the community. A local investment consultant made a significant investment in the community he has called home for most of his life. Joel Chevalier, a financial consultant with Investors Group, purchased the former Putnam & Lawson building on 100 Street in January. That building has since become home to Royal LePage as well as Chavalier’s own business. 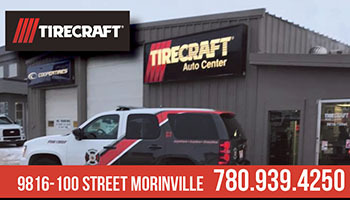 Morinville was one of more than 300 communities nominated for Kraft Hockeyville 2015. The annual competition provides one Canadian community with a pre-season NHL game and a half million in cash to put into their local arena. Morinville’s new RCMP Staff Sergeant Riz Suleman took on the job of Detachment Commander as an interim assignment in February. He subsequently took on the role on a permanent basis later in the year. Three Morinville women were applauded for their efforts in a special ceremony in St. Albert Mar. 7. The St. Albert Bahá’í community have sponsored an annual celebration of United Nations International Women’s Day for 18 years. Nominations opened in January seeking exceptional women who had made contributions to society through their generosity of spirit, courage, creativity, determination, steadfastness, leadership, enthusiasm, love, and caring. Morinville residents Louise Horstman, Laura Hennie and Lisa Holmes joined St. Albert’s Suzan Krecsy and Sophia Qaderi in receiving the award. 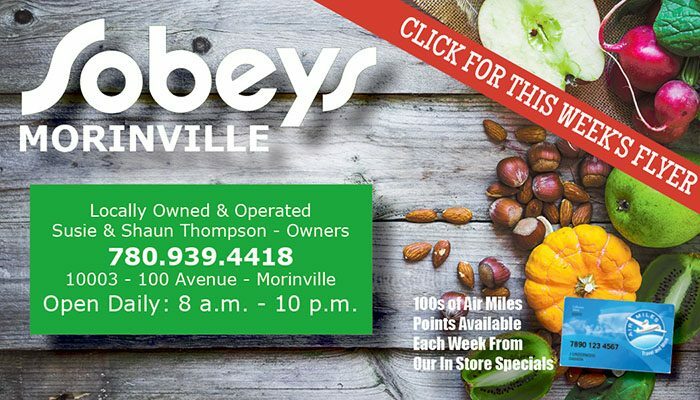 Hockeyville had more Morinville residents watching Hockey Night in Canada’s Mar. 14 Flames Vs. Avalanche game than might normally be the case. 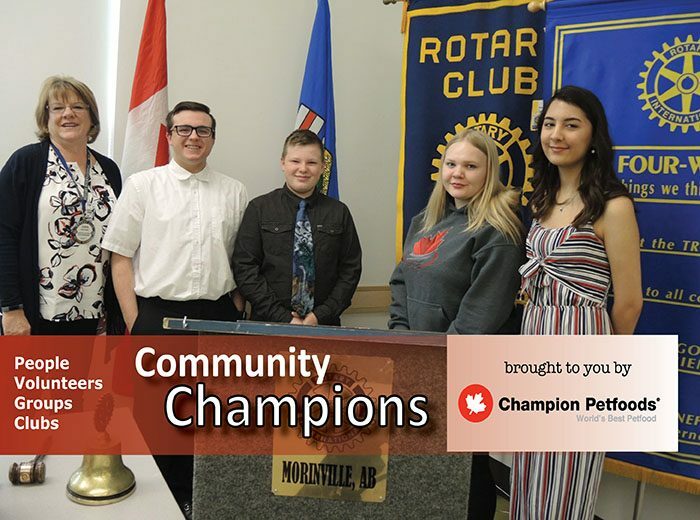 Kraft announced their Top 10 finalists and Morinville was among the first to be announced among the top 10, an honour that carried with it $25,000. 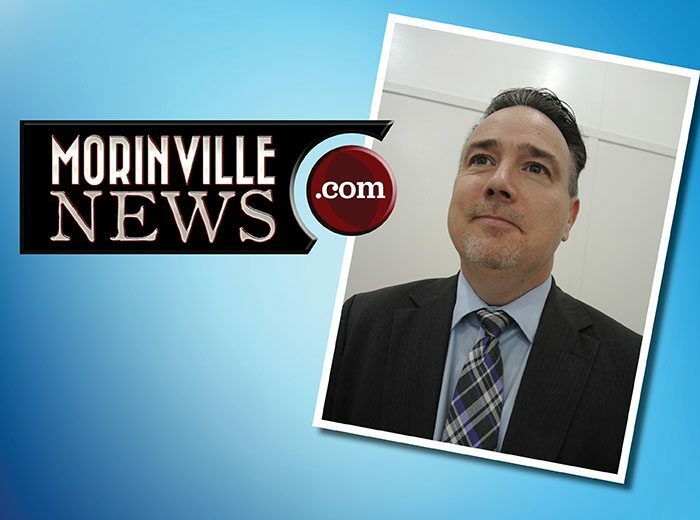 Morinville Kings’ President Wayne Gatza nominated Morinville for the contest in late January and worked tirelessly to promote Morinville in the contest. 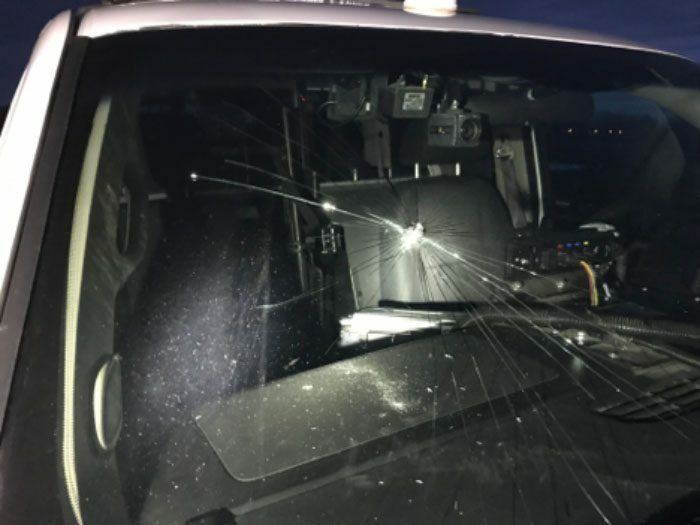 Vandals struck Morinville’s historic St. Jean Baptiste Church on the evening of Apr. 3. The church and park sidewalk was spray painted with anti-theological and homophobic messages, including “I Hate God”, and “I Love Satin” (sic). The latter misspelling caught the attention of the producers of @Midnight with Chris Hardwick, and a slate of comedians had some fun at the vandals’ expense. Development of Morinville’s annual budget would begin earlier and allow for more public participation. That was the plan last spring. Council and Administration were to begin Budget 2016 in May and culminate with final approval of the 2016 Budget in late November. Council passed the Budget Dec. 8, two weeks after they’d planned. The Capital Plan was not passed at that time, and will be possibly approved in January. Back in May of 2015, Administration’s had planned to have updated budget workbooks, salary costs, and estimated tax, grant and other revenues completed in June. Departments would use the workbooks to prepare the 2016 operating budget in August, with a consolidated budget draft to be completed by the end of the month. Administration was to review the draft budget with Council during Committee of the Whole in mid-September. The draft budget, along with the three-year strategic and five-year capital plans, was scheduled to come before council for first reading on Sept. 22; however, Council gave the 2016 Budget First Reading Nov. 10, seven weeks after they’d planned to. Council was to review the 2016 budget process in December before the Christmas break; however, the review did not take place at either the Dec. 8 regular meeting or the Dec. 15 Committee of the Whole meeting. Barrhead-Morinville-Westlock voters went to the polls May 5. 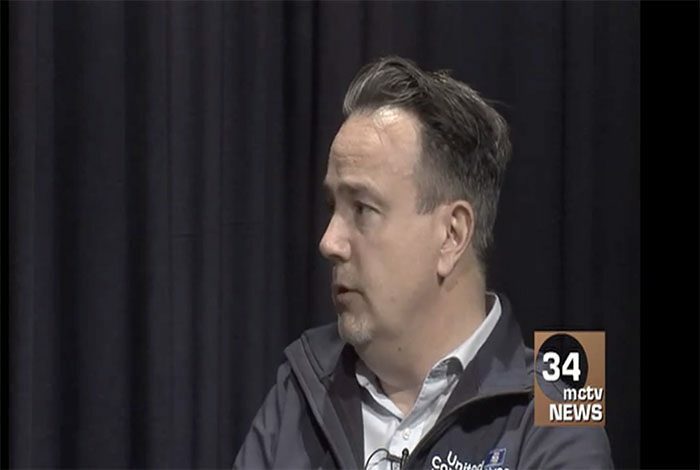 While the province elected an NDP government for the first time, locally, it was the Wildrose’s Glenn van Dijken who topped the ballot boxes with 7,205 votes. Van Dijken was followed by the NDP’s Tristan Turner with 6,233 and Progressive Conservative incumbent Maureen Kubinec with 4,878. Van Dijken went on to become the Opposition’s shadow for NDP Transportation Minister Brian Mason. More than 60 motorcycle riders departed Technical Automotives/Taser Inc. June 6 for a two-and-a-half-hour ride in support of the Midstream Support Society. In addition to the registration fee, riders were encouraged to bring toys for the Midstream’s Santa Store. Proceeds above costs were donated to the Society. After a lengthy and often emotional debate, Council decided to go ahead with two new school sites that were both requested by their school boards. Council passed a bylaw that would transfer to Sturgeon School Division their preferred location adjacent to the current Ray McDonald Sports Center for a new public middle school (Grades 6-9). Council also directed Administration to draft a letter of support, allocating GSACRD the necessary land for their new elementary school in the Westwinds ASP (west of 100 Street in the empty lot between the railroad tracks and the No Frills grocery store). Both school divisions had recently had schools announced by the province and opening is expected to occur in 2017. Morinville resident Sheldon Fingler assumed the Rotary Club of Morinville’s gavel from outgoing President Brian Reed at the club’s July 8 breakfast meeting. In the summer of 2016, fingler will pass the gavel to Chamber of Commerce President Simon Boersma. Also at that meeting, Sturgeon County resident Alanna Hnatiw will be president for 2017-2018 Rotary Club year. A fire destroyed a row of condominium units on 101 Avenue and a neighbouring house’s garage July 11. Morinville Fire Department was assisted by crews from Legal and St. Albert in battling the blaze. Champion Petfoods’ $5.9 million product development facility was nearing completion in August. The 6,500 square foot BAFRINO Research and Innovation Centre announced in November 2014, was built behind Champion’s existing administrative offices. The facility is now open and is where the company creates new product for worldwide distribution. Pool balls cracked and video games beeped Sept. 3 with the official reopening of the Morinville Teen Centre. The facility, originally located across from the arena in Lions Park, had recently closed, but was reopened in classier digs. The centre, located at the Morinville Community Cultural Centre’s mezzanine level, operates Tuesdays and Thursdays after school for general activities, and on Wednesdays for youth and recreational programming. Conservative candidate Rona Ambrose returned to Ottawa after receiving 70.2 per cent of the vote in the federal election Oct. 19. She received 42,977 votes, 33,406 votes more than her closest rival, Liberal candidate Travis Dueck. Shortly after Stephen Harper stepped down as leader, Ambrose became Interim Leader. See our year-end interview with Ambrose here. A new partnership with the Town and Sturgeon County on the Rec Centre project was announced Nov. 10. The County purchased a plot of land directly east of the 77-acres the Town of Morinville purchased east of East Boundary Road. The two municipalities will work together to install servicing to both lots. 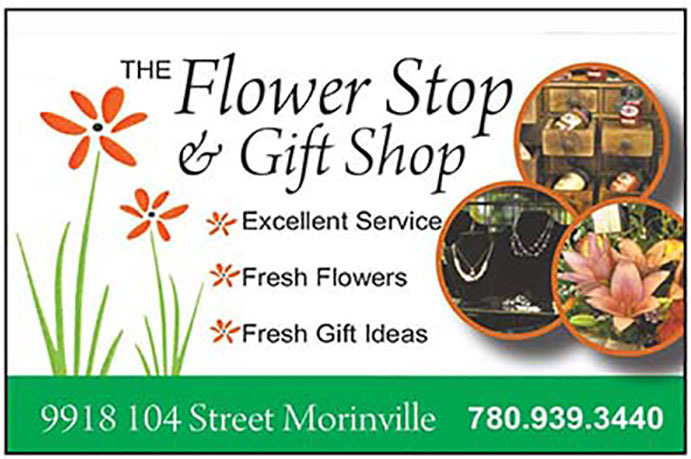 Residents can expect a 3 per cent increase to taxes next year, despite Council cutting two requested positions from the Town’s wish list and hacking more than $45,000 from requests made by the library and the Morinville Festival society. Final tax rates will be made in the spring just prior to notices being sent in the mail.